Heli-yachting is not new but has evolved and has grown tremendously over the last 20 years. We live in a world where the pace of life is fast and time is a precious commodity. This is where a helicopter adds value. For our clients, continuity of travel is expected to be seamless, a helicopter is an essential tool. Helicopters are about fun and entertainment, they open up a world that few have seen. Flying between glaciers in Alaska, jungles of central America, along isolated beaches of Australasia, the experience truly is one of a kind. Being able to drop into restaurants and hotels or linking up with friends, the helicopter is the facilitator. So, how do you buy a helicopter? It is difficult to buy a bad helicopter today but buying the right one for a client’s needs takes careful thought. 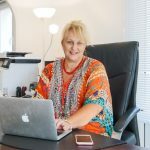 I’ve worked with a number of VIP clients guiding them through the whole process, from brochures to the glass of champagne on delivery. Between the two stages there is a lot to consider: performance, budget, ownership structure, tax regime, private or commercial operations and integration with the client’s yacht to name but a few. Before we can fly to a yacht we need to first establish that the yacht is fit for purpose; built and outfitted appropriately. Does it require commercial certification of the helideck? Is the yacht’s crew trained and ready to operate the helideck? How do helicopters and yachts work together? Once the yacht and helicopter are delivered they need to work together seamlessly. How to operate your helicopter with your yacht is where Luviair comes in. Luviair is an operator, managing a fleet of medium twin-engine Airbus helicopters for VIP clients. Building a good relationship with the yacht is imperative, we have common goals of safety and service to the beneficial owner and their guests. Operating to clear guidelines allows the vessel and owner to understand our capabilities by both day and night and in adverse weather conditions. Offshore helicopter operations are highly regulated, interpreting these regulations to optimise service and safety is imperative to the success of the operation. Training is key for air crew and yacht crew. It forms an integral part of both flying helicopters and managing the environment they work in. There will be times when we cannot fly because safety comes first. Deck crews need to remain practiced and ready to manage the helicopter in both normal and emergency situations. Heli Riviera is a partner training company to Luviair and Nigel Watson Ltd. Operating from both the French Riviera and Palma de Mallorca (HOLA Heli Services) they offer accredited helideck training services to helicopter capable yachts on a global scale. Heli Riviera offers Marine Coastguard Agency accredited helideck training globally from bases both on the French Riviera and Palma de Mallorca. If you are visiting the Riviera and need to get the helicopter ashore or are seeking hangarage, we will be happy to help. We can assist with your helicopter operational needs. Permits for yachts and aircrew take time so start the process as early as you can! Is your yacht helicopter capable? 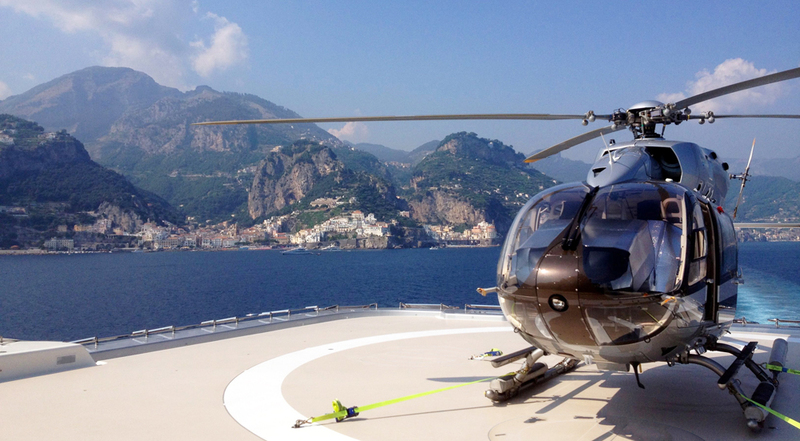 Heli Rivera offers helicopter charter solutions with selected partners throughout the Mediterranean. Heli Riviera supplies comprehensive helideck operations and crash rescue kits.